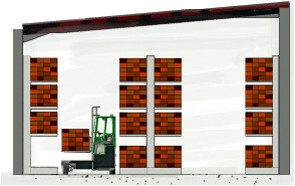 Combilift have a team of specialised engineers tasked with working with our in-house Combi Specialists and you their customers to produce warehouse designs that provide a unique view of the benefits that will be realised through utilising combilift products. 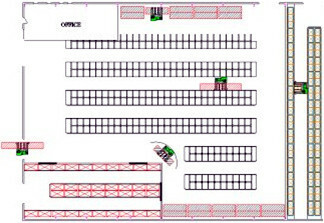 Our Combi trained specialists can work from existing plans of your warehouse or storage area, or carry out a detailed site survey to produce drawings of the existing scenario and of what is possible to achieve with various combilift products. 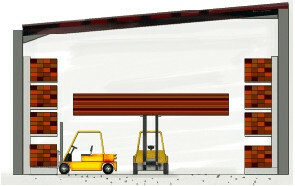 More Product Storage – Up to 60% increase. More efficient use of available space.